I am starting off this year by ticking a dish off my list which I have never made before, as I promised myself I would in my Blog Bucket List. 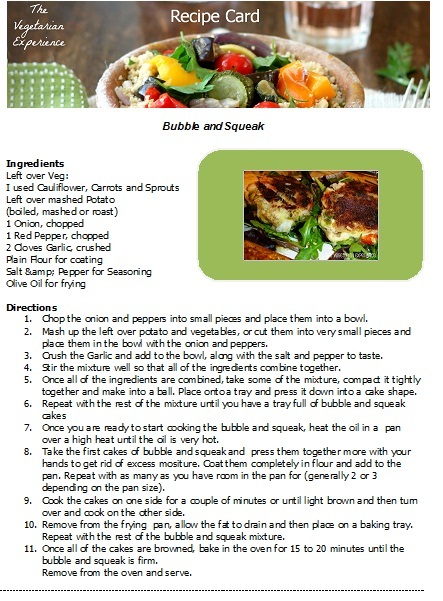 So today I am featuring Bubble and Squeak. 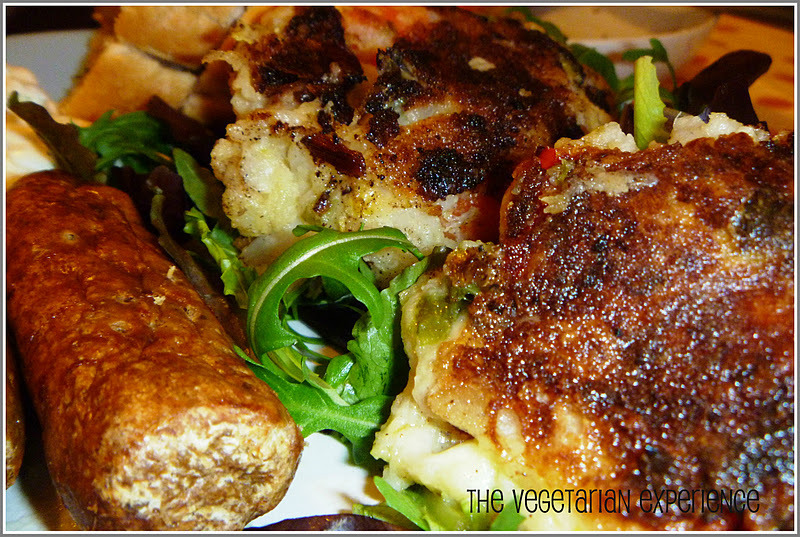 Yes, I am quite ashamed to say that I have never ever made Bubble and Squeak, which is the easiest of classic Vegetarian recipes and great for using up left over potatoes and veg from your Sunday roast or celebration dinner. I used up the left over mashed potato, cauliflower, carrots, and sprouts we had from our Sunday meal. I added an onion, a pepper and crushed garlic to the vegetables to give the bubble and squeak some more flavour, texture and colour, but you could just cook the potatoes and vegetables or additionally add anything you want to the mix. 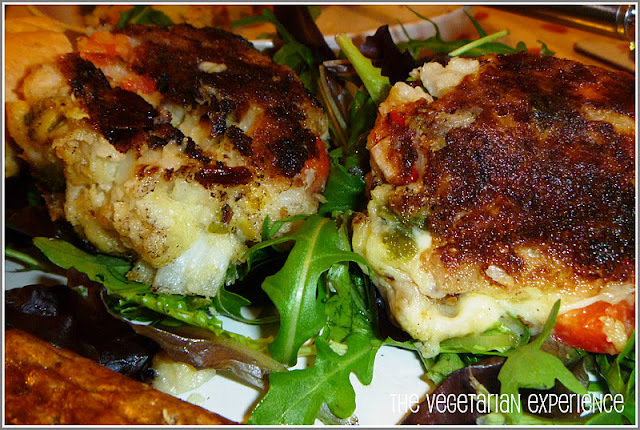 I served my Bubble and Squeak Cakes with Quorn sausages and a Rocket salad. 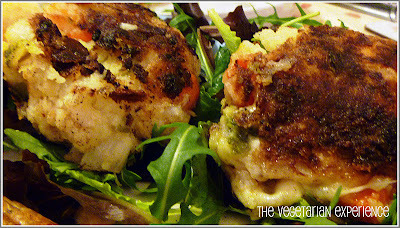 This made a delicious meal and was a great way to use up the left overs. 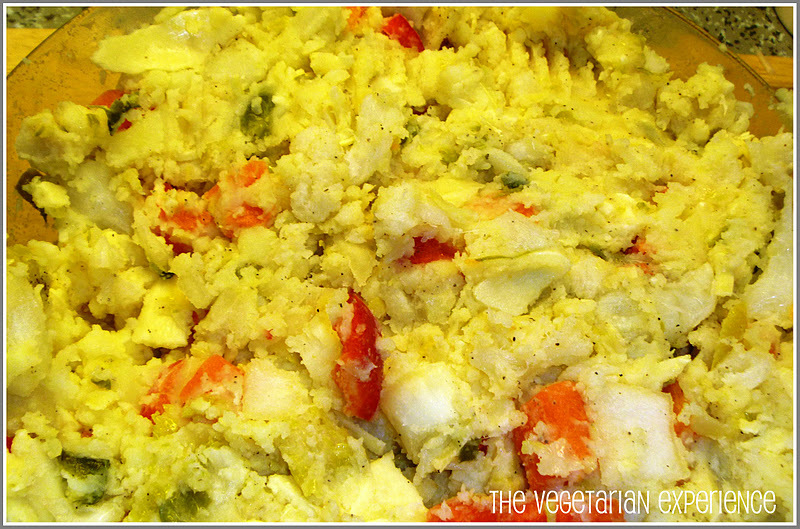 Ensure that the mixture isn't too wet so that the bubble and squeak does not break up. Fry for a couple of minutes on each side and then place in the oven to cook, as the mixture starts to break up if left in the oil for too long. 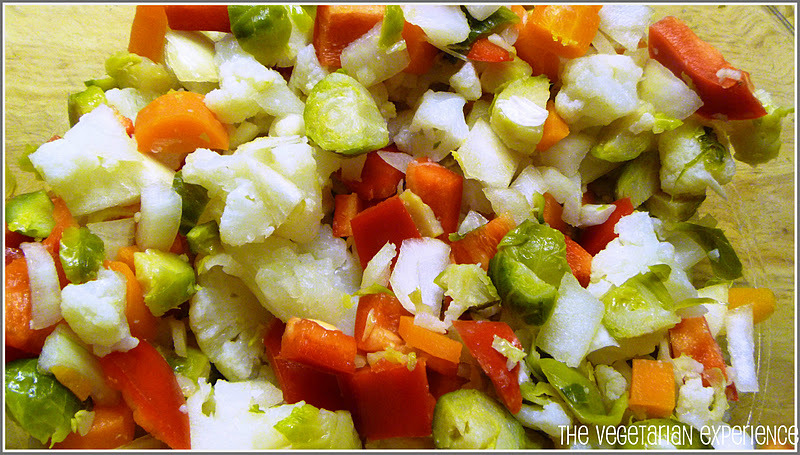 Chop the onion and peppers into small pieces and place them into a bowl. Mash up the left over potato and vegetables, or cut them into very small pieces and place them in the bowl with the onion and peppers. Crush the Garlic and add to the bowl, along with the salt and pepper to taste. Stir the mixture well so that all of the ingredients combine together. Once all of the ingredients are combined, take some of the mixture, compact it tightly together and make into a ball. Place onto a tray and press it down into a cake shape. Once you are ready to start cooking the bubble and squeak, heat the oil in a pan over a high heat until the oil is very hot. 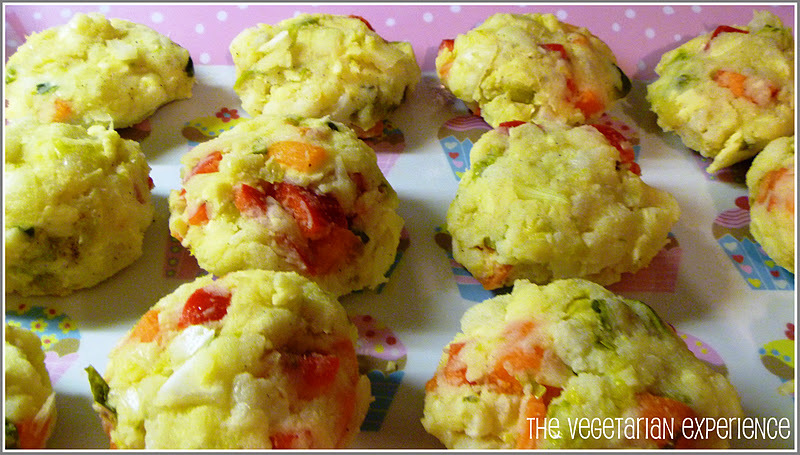 Take the first cakes of bubble and squeak and press them together more with your hands to get rid of excess mositure. Coat them completely in flour and add to the pan. Repeat with as many as you have room in the pan for (generally 2 or 3 depending on the pan size). 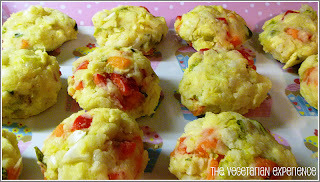 Cook the cakes on one side for a couple of minutes or until light brown and then turn over and cook on the other side. Remove from the frying pan, allow the fat to drain and then place on a baking tray. Repeat with the rest of the bubble and squeak mixture. 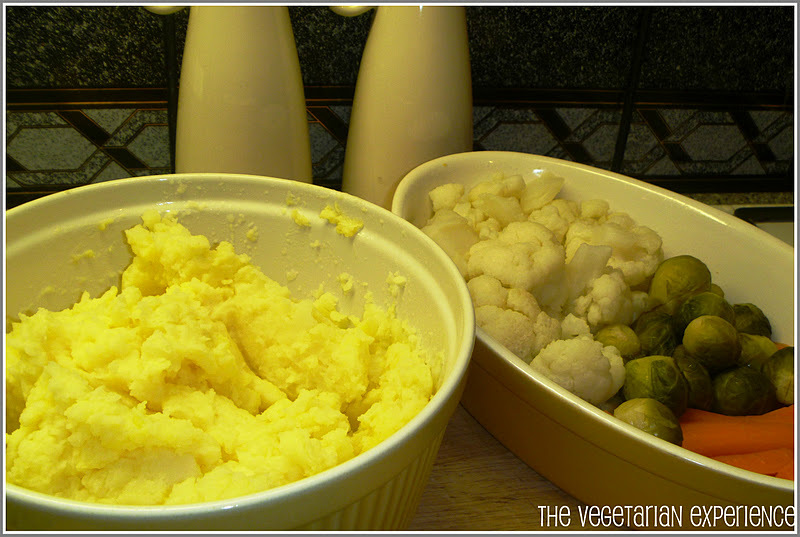 Once all of the cakes are browned, bake in the oven for 15 to 20 minutes until the bubble and squeak is firm. I love bubble and squeak but have only ever done with with potatoes and brussel sprouts. Will try it with cauliflower ,peppers and garlic now. Thank you. Thanks Sheffy, Thanks Helen, they do taste good.. The onion and garlic are a great addition. Thanks for visiting! I love bubble and squeak and this one is exceptional.